With summer beginning soon, we’re all out in our yards getting things cleaned up after the fall and winter season. Those beautiful fall leaves that have turned brilliant colors are clogging up the gutters and littering the yard now. The exteriors of our homes will take a lot of work that needs tending to. We’ll be doing things like cleaning out wet gutter debris and messing around with other chores like cleaning off the roof. Cleaning gutters is one chore on the list that is difficult to do and time consuming. Sure there are tools that make it a little easier, but it’s still not a quick job unless you’ve been really staying on top of it. Your best bet is to call a professional to take care of your Charlottesville gutters for you. At Cavalier Window Cleaning & Power Washing, we clean and repair gutters, as well as power wash your siding and other exterior areas. If you need service, just give us a call. Gutters get closed so thickly that the debris often forms a hard rock-like substance that’s nearly impossible to get out. That’s why it’s important to keep on top of cleaning gutters. Once they get clogged, they can’t do their job. Gutters play a large important role in how well the rain and ice slide off the edges of your roof structure. If your gutters are overfull or packed up, no rain will be carried away. Instead, you wind up with a downpour of drenching rainwater every time you enter or exit your home. We all know that gutters have to be cleaned, but it’s not uncommon for homeowners to neglect their gutters until they literally fall off. 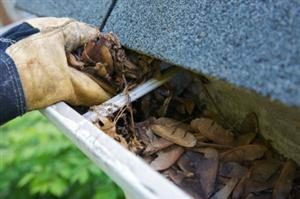 If your gutters are hanging loose or starting to fall, be sure to call someone right away to get them repaired and ready for the winter season or you could be facing worse damages that also involve the attached areas of the roof structure. Hiring a professional gutter cleaning and repair company will go a long way to keeping your gutters clear and all the rainwater routed and drained away as it should be. 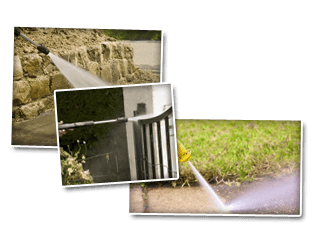 At Cavalier Window Cleaning & Power Washing, we work on gutters all the time and are available whenever you need a good gutter cleaning, repair, or want to install gutter protection. Speaking of gutter guards, they really do help. If you want to prevent gutter debris buildup, let us run you a quote to install gutter guards and make any small repairs you need this year. We can save you the time, stress, and hassle of keeping your useful gutter system in great shape. If you are looking for Gutter Services then please call 434-823-1737 or 540-910-1434 or complete our online request form.